There used to be a time when cinematographers or film directors had to employ a motley crew to assist them while shooting in different locations. At the same time, they had to improvise makeshift tracks for sliding the action camera up and down for capturing steady shots in different scenarios or backgrounds. However with rapid strides being made in the technical areas associated with cinematography and moviemaking in the past few decades, it has now become more convenient to make a movie or a video. Nowadays, it is usual for a filmmaker or videographer to use a camera slider for steadying the movie camera movements so that it can take steady and perfect shots. A camera slider is the perfect accessory to use for keeping the equipment rock steady while it is made to go back and forth in order to capture exactly those shots which the cinematographer desires. The moviemaker or videographer usually checks out the effectiveness of camera sliders by checking out some essential features, especially its gliding action. However, if you’re a first time buyer, you’ll need to do some research and homework before you can make up your mind. The sole objective behind purchasing a camera slider is to stabilize your action camera while you shift from one location to another for recording footage or making an indie film. Since you’ve to be on the move constantly, you’d also want to opt for slider equipment that is portable or a camera slider compact. There are other aspects that you’d have to take into consideration while comparing different models of camera sliders like construction, weight, efficiency of sliding action, and of course your budget. Last but not the least, the kind of cinematography equipment or camera you’re using will also considerably influence your choice as some camera sliders are ideally suited for specific models. Slider-There are two distinct types to choose from-Drylin and roller-bear. 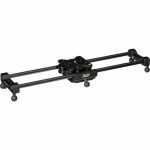 Drylin slider comes with juxtaposed rails that minimize friction during movement and are less expensive than a camera slider having rollers for mounting the camera on rails for smooth gliding action. Regardless of whether you go for a Drylin slider or one with roller bearings, you should be ready to invest a good amount of money, if you want the equipment to last long term. Movements along 3 axes-horizontal, vertical, and angled (some brands allow the camera to be positioned upside down)-Since you’ll be shooting in different locations with varying topography, you’ll need a camera slider that allows you to capture smooth and steady shots from various positions or angles. Going for a slider that lets your camera move along the aforementioned axes would be par for the course. Enables at least 3 feet or 1m of sliding on the tracks-Almost all performance-oriented camera sliders have rails that are about 3 feet long. This length is perfect for capturing short range as well as long range shots. Technically speaking, the length of the camera bipod or tripod should be same as that of the rails. At the same time, the tracks along with the main equipment should disassemble easily for packing convenience. Can be manually operated as per requirements-More often than not, your personal supervision will be required during filming or recording videos where you may have to be dispense with using the remote. 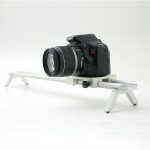 The camera slider design or structure should be such that it makes manual operation hassle-free. Heftiness/portability-Whether you’ll select a slider that is light enough to be lugged conveniently or choose a hefty model will depend upon the nature of your tasks. Even if you choose a lightweight model, it should be able to withstand the load of the camera and tripod without affecting performance. And if you’re someone who flies regularly, you’ll have to factor in packing the slider without exceeding the permissible luggage limit. Alternatively if you have to buy a large or heavy slider, see to it that can be dismantled completely for carrying convenience. Construction/Durability-A hardwearing camera slider is invariably constructed out of robust materials and usually comes with very few moving components. The lesser the total number of sliding parts, the easier it is to maintain the apparatus. Toughness implies that the equipment doesn’t get dented or suffers minimal scratches or grazes even after extensive use. 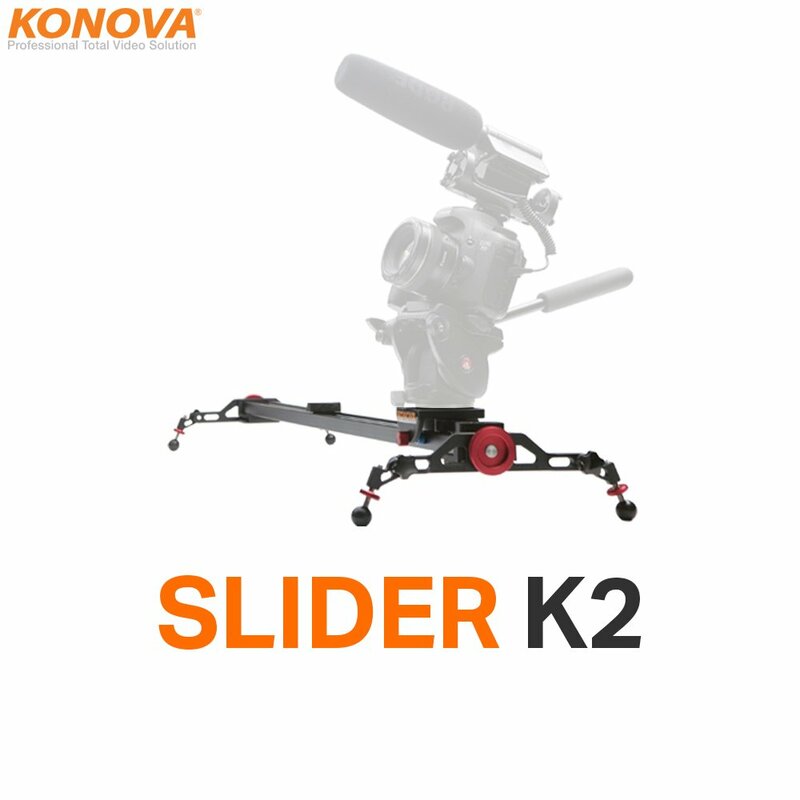 The Konova Camera Slider Dolly K2 is a versatile slider compatible with different camera models including but not limited to Canon, Panasonic, Blackmagic, Fuji, Nikon and Olympus. The equipment has been fabricated from industrial aluminum which makes it hardwearing without transferring heft to the user. The legs can be detached and folded down for easy transportation. There are openings for riveting ¼” and 3/8” screws on both the ends for mounting camera in different positions. The rails are embedded with beams that are chrome coated for preventing corrosion as well as for facilitating sliding via roller bearings. Camera slider options enable you to mount photographic equipment horizontally, vertically, diagonally and from side to side. If you’re looking for a topnotch camera slider and are willing to splurge for the same, then you don’t need to look beyond the Kessler Pocket Dolly 3 Flat Mount Adapter. This accessory for camera from Kessler almost always features in all camera slider reviews and for good reasons. This slider retains Kessler’s proprietary drivetrain that facilitates motion control but is also lighter. Versatility of this camera slider enables you to use it manually via the cart brake as well as can be mechanized with the manufacturer motion stabilization systems. There are holes on both the ends for installing variety of mounting accessories for capturing perfect images and recording realistic videos from all possible positions. Make quality feature films or indie films that’ll win you rave reviews from audiences and critics around the world with the help of DEV 1000 23” camera video stabilizer from Glide Gear. 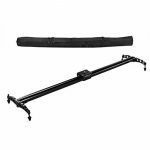 This camera slider under $100 features a 60cm long track chiseled out of premium grade of aluminum that allows you to mount camera and other related accessories weighing up to 9kgs. Sliding action delivered is smooth and efficient as the tracks are self-lubricating. The camera slider also features a prominent knob with locking functionality for adjusting the resistance or friction. It comes with detachable feet for using independently or can be directly mounted onto your tripod. The Imorden 48”/120cm Middle Video Camera Slider Rail Dolly Track Camera Camcorder Slider is extraordinarily versatile in that it is suitable for using with any standard camcorder, action camera, or DLSR. This camera slider under 100$ has rails fashioned out of durable aluminum letting it tolerate mounted equipment weighing a maximum of 15 pounds. The stainless steel shafts running along the tracks safeguards them from getting corroded. There are a total of 4 roller bearings fixed on the underside of the sliding plate which promotes smooth and silent movement. Both ends of the rails have multiple cut outs for mounting camera in different positions as well as for loading on a tripod. Of all the camera sliders Amazon that videographers and cinematographers take a fancy for, the Cinevate 24-inch V3 Duzi Slider surely has to be one of them. This camera slider automatic has rails made out of solid 15mm carbon steel with CNC machined 8 aluminum ball bearings making it effective for slick and impeccable sliding. It is a real workhorse as it can bear weight of up to 120 lbs which means you can mount the heaviest action camera along with other accessories and it’ll still not budge. Setting up the slider is a breeze as it can be installed on terra firma, center mounted on tripod or stabilized on a tabletop. When it comes to choosing a camera slider of good quality, you cannot afford to be generic. Stabilizing your action camera or camcorder is a requirement that cannot be accomplished with the same degree of efficiency using any camera slider. A particular slider that works perfectly with a Canon EOS 1300d may not work with the same level of perfection with a Nikon D5500 DSLR. In this review, 5 camera sliders were taken up for perusal after picking and choosing from innumerable models. Of the 5 models reviewed, three models stood out from the rest in terms of features including sliding action, range of motions, and so on. Camera sliders from Konova, Kessler, and Cinevate were expensive models that would appeal more to seasoned cinematographers. 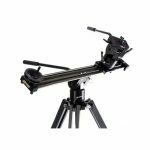 If you want to hone your filmmaking or video recording skills with a camera slider that is affordable then you can select either the Imorden or Glide Gear model.